Manchester: Pep Guardiola ends the calendar year with his Manchester City side embroiled in what has suddenly become a thrilling title race for the first time in his Premier League managerial career. There is also now unexpected pressure beneath him, with Tottenham's superb 6-2 win at Everton having hauled Mauricio Pochettino's talented side to within two points of City. 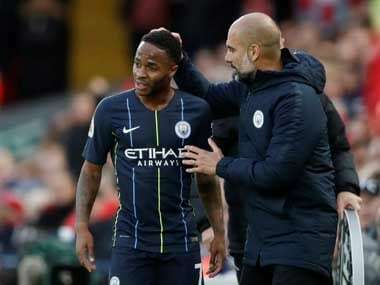 Twelve months earlier, in Guardiola's first season in English football, City were seven points behind leaders Chelsea at the corresponding stage but in the middle of a run of poor form which would eventually see them end the season in third place, 15 points behind Antonio Conte's title-winners. City's shock 3-2 home defeat by struggling Crystal Palace on Saturday has certainly put a new perspective on the league table heading into the busy holiday period which culminates with current leaders Liverpool visiting the Etihad to face City a week on Thursday (3 January). 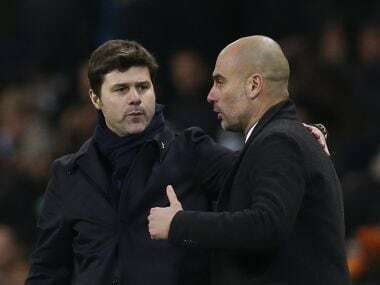 "Pep Guardiola is a very intelligent guy, it means that they haven't caught up those four points but he knows there are 20 matches left to play and one of those is going to be against Liverpool," said Hodgson. "I don't think he will be concerned about that and he'll know that no matter how Liverpool play they will come up against a game like this. They will go somewhere and someone will beat them against the odds. 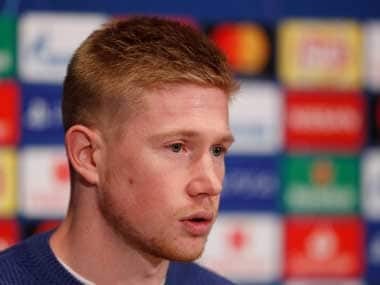 There is a long way to go yet," added Hodgson. 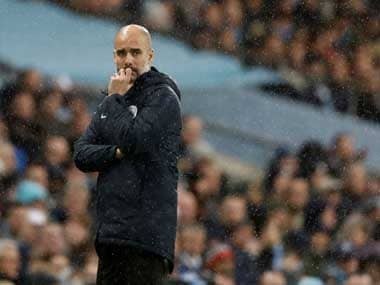 Certainly, Guardiola's three seasons in Germany offered him little in terms of preparation for a close, down to the wire title race, with Bayern winning the league by at least double digits in points in each of his three seasons — including 2014 when Munich beat now Liverpool manager Jurgen Klopp's Borussia Dortmund into second place by a staggering 19 points. But his four seasons in charge of Barcelona were more competitive, given Barca's intense rivalry with Real Madrid, although in his first and last seasons he won and lost the league, respectively, by nine points. In 2009/10, however, Barca pipped Real by just three points — Guardiola's closest title race to date — and retained their crown 12 months later, this time by only four. Perhaps more alarming for Guardiola was the performance of England right-back Kyle Walker against Palace, with the City defender badly at fault for two of the opposition's three goals.